Managing a multi-author blog comes with its own challenges. Thankfully WordPress makes it really easy to run a multi-author blog. In this article, we will share 21 great plugins to efficiently manage a multi-author blog in WordPress. 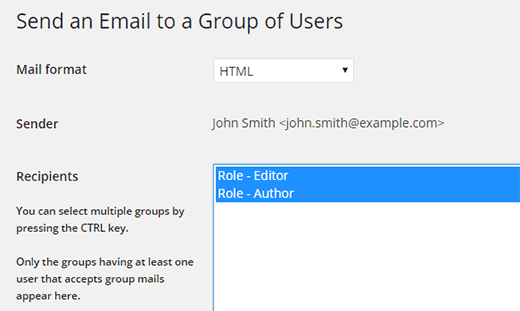 The concept of user roles was introduced in WordPress 2.0. Each user role is allowed to perform a certain set of tasks called capabilities. 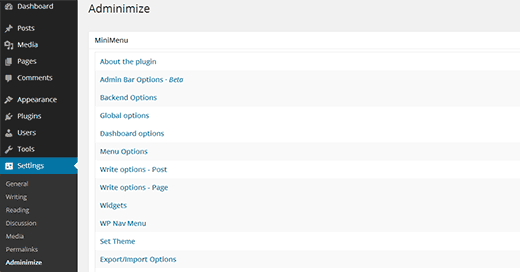 This plugins allows you to modify the built-in capabilities of a user role in WordPress. 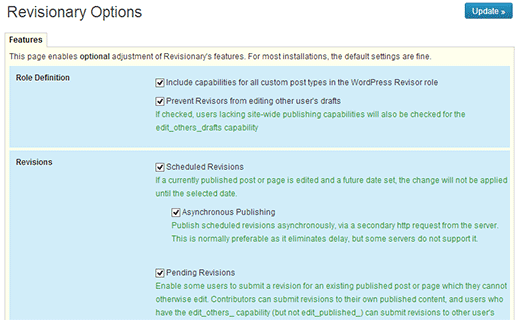 For example, the author user role in WordPress is allowed to add posts and publish them. 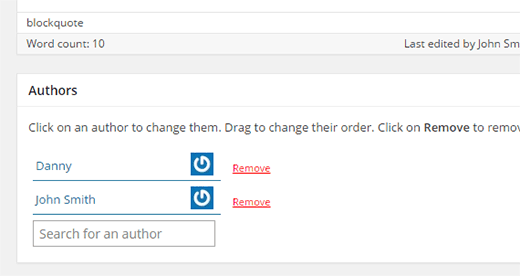 You can use this plugin to edit this capability and allow users with author user role to add and edit posts but not publish them. You can also create custom user role with a custom set of capabilities. This feature is really useful if you are building CMS for a client or want to add custom user roles on your own site with limited capabilities. To learn more check out our guide on how to add or remove capabilities from user roles in WordPress. When you have a blog that is being run by multiple authors, there are times that more than one person contribute to an article. One way of displaying that is when you show something like we do by claiming post is written by Editorial Staff. Another way of going about this is showing co-authors and linking to their profile individually. Co-Author Plugin lets you do just that. On a multi-author blog, sometimes you may want to assign certain topics to certain authors. Like for example, sports category assigned to your sports blogger. 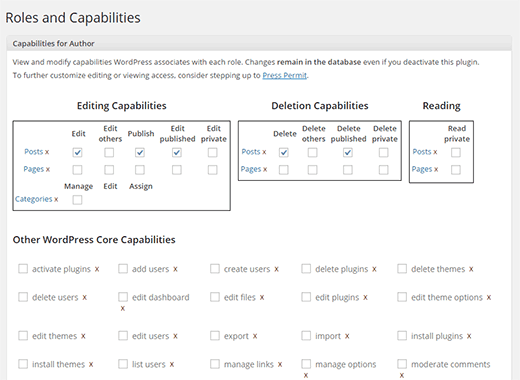 This plugin allows you to assign categories to authors and then limits their access to write only in those categories. To learn more see our guide on how to restrict authors to specific category in WordPress. While managing a multi-author blog, the authors usually don’t have permissions to edit an already published post. Revisionary allows you to add a system which makes it possible. Don’t worry, nothing will get past without getting approved by you. However, authors will be able to edit and make changes to an already published post and submit it for your approval. See our guide on how to allow authors to revise published posts in WordPress for more information on how to use this plugin. WordPress uses Gravatar to display user avatars in comments and in user profiles. However, some of your users may not have gravatar setup for their email address, or they may simply want to use some other picture on their author profile. Simple Local Avatars plugin allows users on your WordPress site to upload pictures if they do not wish to use Gravatar. This simple plugin allows you to display author avatar anywhere on your WordPress site using shortcode. 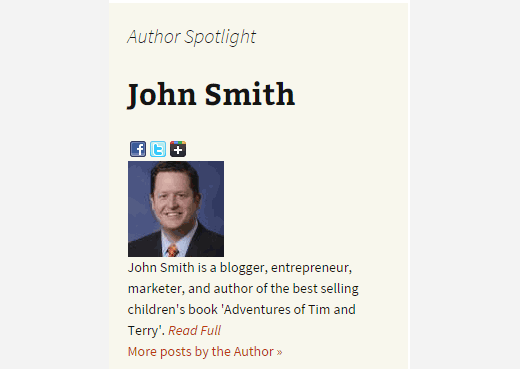 It comes with a widget which you can add to your sidebar to display a list of authors on your site with their avatars. It also works well with simple local avatars plugin. See our guide on how to show authors list with photos in WordPress. Edit Flow is a complete editorial workflow management system for WordPress powered websites. 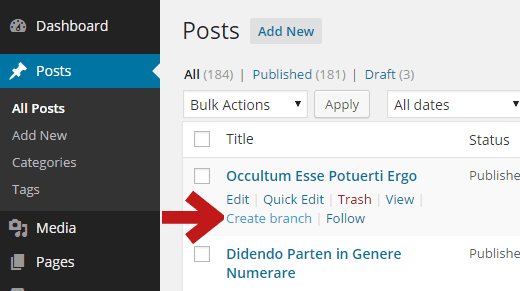 It allows you to leave editorial comments on post drafts visible only in the post editor. You can also add reminders, and create custom post statuses to improve your editorial process. Edit flow also displays your editorial calendar so that you can easily see the posts under progress and manage your publishing schedule. 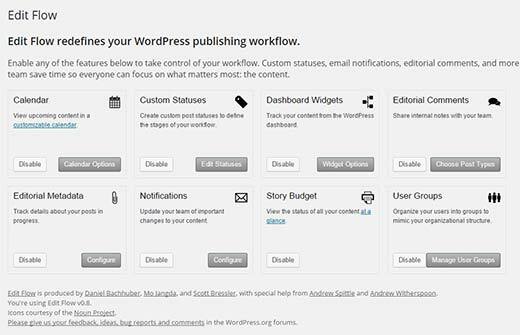 For more information please see our guide on how to improve editorial workflow in WordPress. This plugin detects the author of a post and displays their bio with social links. It is also a great way to display author bio in the sidebar instead of below the post. Instead of copying posts to create a new draft, this plugin allows authors to fork an existing post and then edit it. You can choose to use some parts of the fork or the entire post and replace the original post with it. See our guide on how to use post forking for collaborative content curation in WordPress. When managing a multi-author site, sometimes authors may forget to attach a featured image to a post. This simple plugin makes it reminds authors that a post needs featured image when they save a draft. See this tutorial on how to require featured images for posts in WordPress. The WordPress post editor does not have a spellcheck button. This simple plugin adds spellchecking into your WordPress post editor, giving authors a chance to proofread their posts inside the editor. Based on the After the Deadline extension of JetPack, this plugin is capable of checking grammar as well as style to improve the readability of posts. 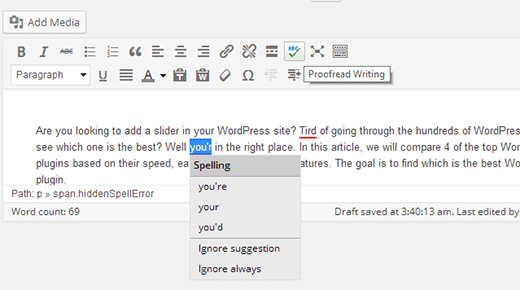 See our guide on how to check grammar and spelling mistakes in WordPress. As the name suggests, this simple plugin allows you to send email to all registered users on your WordPress site. It can also be used to send private emails to individual users, or send an email to users with a particular user role. 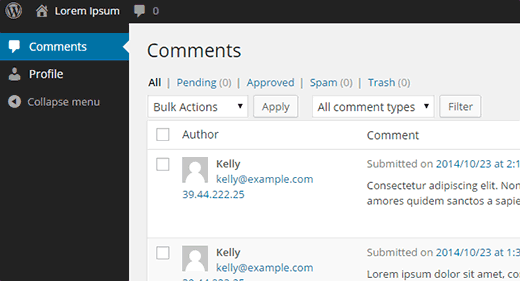 It can also be used to send a new post notification to all registered users on your WordPress blog. All users except users with the subscriber user role can send private messages to other users. If you are having trouble sending email then checkout our guide on how to fix WordPress not sending email issue. Adminimize gives admins full control on what users can or cannot see inside the admin area. Admins of a multi-author blog can use it to disable user access to unnecessary sections in admin area. Providing a much lean and clutter free area for authors. See our tutorial on how to hide unnecessary items from WordPress admin. Don’t want to give authors access to the admin area? 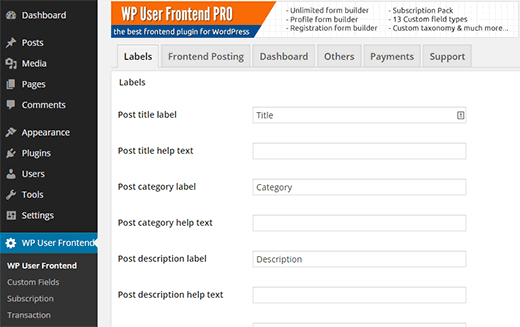 WP User Frontend makes it possible for users to submit their posts directly from the frontend of your website. See our tutorial on how to allow authors to publish directly from WordPress frontend. 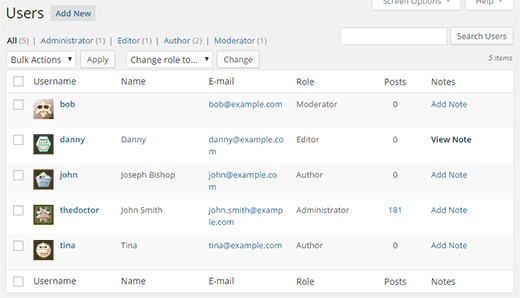 A simple plugin which allows you to add users with the moderator user role. The only capability these users have on your site is the ability to moderate comments. Ideal for newspaper sites where a staff member is assigned to moderate and answer comments. Content Progress is another editorial plugin which allows you to see the content progress, add flags, and add quick notes to the posts. Flags can be used as the status and offer a visual way to mark posts done, incomplete, in progress, and so on. 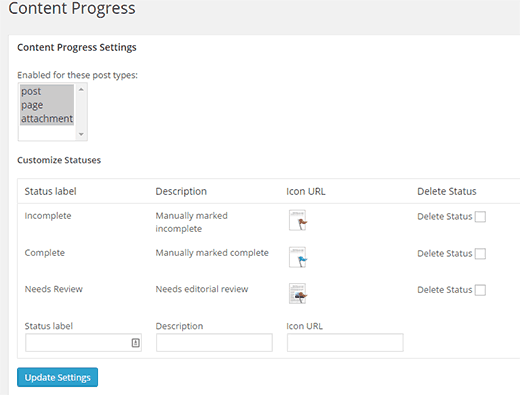 Take a look at our tutorial to learn how to manage content progress in WordPress. User profiles in WordPress are very basic and you may want to add extra fields for your authors. Cimy Extra Fields plugin allows you to easily add extra fields to user profiles in WordPress. Check our our guide on how to add additional user profile fields in WordPress. As the name suggests User Submitted Posts allows your users to submit posts. The good part about this plugin is that the users don’t need to access the backend of your WordPress site. Instead they can submit posts from the front end. The plugin also provides you an option to collect posts from users without creating a user account. See how to allow users to submit posts to your WordPress site. We all make mistakes but if you run a popular blog like ours, chances are that your users will notify you of that error in their comments. Error notification makes it easier for users to simply select the error in the post and report it to you. To learn more see how to allow users to notify you of errors in WordPress posts. User notes allow you to leave notes but on user profiles. These notes can only be seen by admins. These notes can be very helpful and may serve as a reminder tool. For example, if an author is not following the deadlines you can add a note to remind yourself that this particular author is a bit careless with the deadlines. Role Based Help Notes can be used to create a special docs section inside your WordPress admin area for specific user roles. For example, you can enable it for authors and editors. Then switch to an author or editor account and add help notes telling them about your editorial guidelines, using your site, or anything you want. Authors will also be able to add notes which other authors can see. That’s all, we hope these great plugins helped you manage your multi-author WordPress blog more efficiently. Hi … Is there any plugin to create a workflow for fairly sharing the revenue between all authors? One use-case seems to be not covered by any plugins or tutorials I’ve found. Allow authors to edit articles from some specifc authors only. Is there a way to achieve this? Maybe by messing around in the WP-code? You can achieve this by changing the user role of the authors you don’t want to give permission to edit. You can also use modify user roles or create a custom user role with desired permissions. i wanna make multi author blog but i don’t want to my writers access the wordpress dashbord and i want them to post with wordpress editors on frontend , so how can i do this ? Please see our guide on how to allow users to submit posts in WordPress. You can use the Remarks plugin to find which of your authors and categories is generating the most discussion (and where!). so is there any solution in which i just give credits to many user by making a small box. Thanks for ur question. U did not mention ur site address. It is pretty hard to understand without seeing ur site or the design. Thanks for the article….always enjoy your tutorials! I tried Co Authors Plus, but it doesn’t work with all themes out of the box….including mine. You have to make .php changes by adding tags (and stuff). Is there no better solution than this plugin to simply add more than one author to a post? Hi, Im trying to find a plugin that would allow me to group authors into a group. For example, Im building a site that has 4 categories. Work, Life, Money and Family. We have at least 5 corporate partners (companies) who are contributing/writing posts. So each partner (company) has at least 3 authors who will be writing posts in the categories listed above. How can I achieve this? I have already created these categories and added the users. Initially when I created the users. I used each company name for the author and realized that would hinder me showing the actual person/author in an archive page. Any help would be appreciated!! Please take a look at our guide on how to restrict authors to specific category in WordPress. How can I remove a blogger without removing his posts? When you delete a user on your WordPress site, you will be asked what you want to do with the posts created by the user. You can assign those posts to another user. Make sure that you select ‘Attribute all content to:’ and then select a user. Finally click on confirm deletion button. WordPress will now delete the user and attribute all their posts to the user you selected. Hello. I’m trying to find a plugin that I can use to encourage the other bloggers to post regularly. I was thinking of using a plugin that tracks the number of articles the user posts and give them a standing. I have noticed that some forums gives each member a position according to how many posts they write on a forum. I would like to use the same concept but on my blog. Can someone please suggest a plugin that would do something like that? Also, I would like to have the member/user/author standing visible to the public to help encourage them to post as much as they can to move up a level/standing. Great question Maryam, I would like to know the best plug-ins for those two things as well. Really liked this blog! Helped me a lot. Thanks! See how to add a simple user ranking system in WordPress. You can also add a post ratings system. is there any plugin for this? please help I tried a lot for this but couldn’t find. I like your Related Posts section. What plugin do you use? We use custom code to display related posts on WPBeginner. You may want to take a look at our tutorial on how to add related posts with a thumbnail without using plugins. I have just noticed your reply when I reread the article. I thought I would be notified by email when a reply comes through. I could have missed it. Is there a way for you to send an email to readers who posts comments? Sorry about that Anne. We had that feature but we had to disable it temporarily. We will add it back soon and you will be notified about new comments via email then. How to manage articles that can only be read by certain members. But the article displays summary only and have button “Only Premium Members”. Is there a plugin like that? Really helpful article . I installed “Capability Manager Enhanced” as per your post and it is pretty awesome plugin. How to send any notice to our authors once? Does anyone know how to add more than 10 authors? I need to add 33 for a class. Hello, do you know of any muti author plugins that allow us to add many content topics and authors can check the ones they want to do, once checked it will not be visible to other authors? How can I log accurate individual post stats by individual author history? Hello. First, i would like to give you many thanks for this great post. I want to make a multi-author blog and want to add a feature so that the authors can see status and comment notifications for a notification bar. How can I add this feature? Please help me i need this urgent. I mean i want a plugin to add a status update feature like social networks to my blog and a notification bar feature. Please reply. Any plugin (that works) to receive notification about comments? You can receive notifications for comments by visiting Settings > Discussion and checking the boxes next to Email me when anyone posts a comment, a comment is held for moderation. There’s no option to send notification to post author! I don’t want admin to be notified but author. We have disqus.